Both chairs are included in this package. Choose two colors out of the thirteen options, one for the chair color and the other for the Bride/Groom text color. 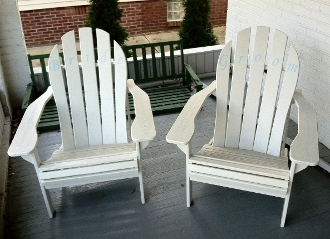 Picture displays Antique (Off White) Adirondack chair with blue Bride/Groom text.